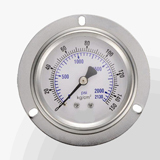 FIBI GREEN offered two types of Pressure Gauges, can be back mount or low mount. 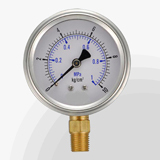 We can offer both Low Pressure( such as 10 bar, 15 bar & etc) and High Pressure Gauges(such as 70 bar, 150 bar & etc). If you need some other types, please just let us know, we will do best to meet your requirements.